Bristlon® is a superior stiff white synthetic brush that has been specially processed so it can be used with harsh solvents without compromising the texture or the fibers. 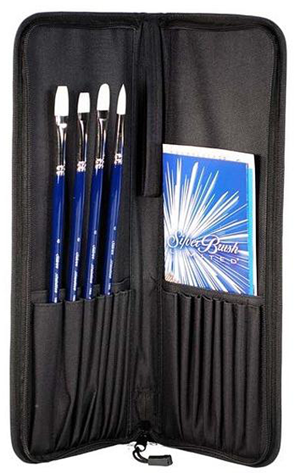 These brushes offer excellent color control and strong resiliency on rough surfaces as a result of their interlocked construction and finely chiseled tips. It doesn’t matter if you are working with oils, acrylics, or watercolors, they will maintain their form and provide a smooth application of color.